Children born to mothers who eat salmon when pregnant may be less likely to have doctor diagnosed asthma compared to children whose mothers do not eat it, new research has shown. The study, led by Professor Philip Calder of the University of Southampton, was presented at the recent Experimental Biology Congress in San Diego. 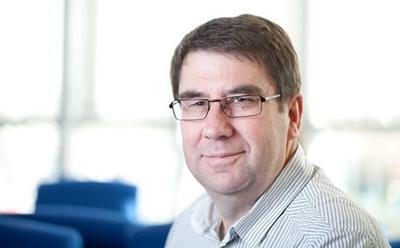 Professor Calder presented the findings after being named as the tenth recipient of the Danone International Prize for Nutrition for his cutting edge research on fatty acid metabolism and functionality, focusing notably on the immune, inflammatory and cardiometabolic systems. The Salmon in Pregnancy Study was a randomised controlled trial in which a group of women ate salmon twice a week from week 19 of pregnancy. Allergy tests were then performed on the children at six months and then at two to three years of age. Results were compared to a control group whose mothers did not eat salmon during pregnancy. Professor Calder told the Congress that the early results, which are yet to be published, showed that at six months there was no difference in allergy rate between the two groups of children. However, at age two and half years, children whose mothers ate salmon while pregnant were less likely to have asthma. These latest results are one example of Professor Calder’s ground-breaking research into specific relationships between nutrition and immune-related conditions over the course of the human life course. A particular strength of his research is its translational approach, extending the results of research in mechanistic and basic nutrition science to studies in humans, including both healthy volunteers and patients, thereby influencing the development of nutritional guidelines and innovative treatments, something with the Prize Committee have recognised. Professor Calder’s research over the years has shown that certain fatty acids – or a lack of them – are involved in a broad spectrum of common diseases ranging from diverse allergies through to atherosclerosis and inflammatory conditions such as Crohn’s disease. The work carried out in this area over the last 25 years, to which Professor Calder has made important contributions, has deepened the scientific community’s understanding of the underlying mechanisms that explain the relationship between nutrition and immunity, the important first step in the formulation of nutritional advice for better feeding the immune system. Though fatty acids are at the centre of Professor Calder’s work, he has also covered neighbouring areas such as pre- and probiotics, iron deficiency and amino acids, at all times with the objective of channelling the insights of nutrition science into improved public health. “It is in honour of his pioneering work over the last 25 years, his ground-breaking results and their far-reaching clinical applicability that Professor Calder has been awarded, on the Jury’s unanimous decision, the 10th Danone International Prize for Nutrition 2016,” said Professor Olivier Goulet, President of the Danone Institute International. The prize, which is one of the most distinguished honours in the field of nutritional science, carries with it a donation of 120,000 €. It is awarded every two years to reward internationally outstanding researchers and promote their work in this field. This is not the first time that a Southampton professor has received the award. In 2005 Professor David Barker, was the recipient, for the Barker Early Origins Hypothesis, also known as the fetal origins hypothesis or the thrifty phenotype hypothesis. Promoting research, education and training in the field of nutritional health is the mission of the Danone Institute International. “Through multi-faceted support to research and educational programmes the Danone Institutes and their projects actively and independently contribute to Danone’s commitments to nutrition and health. With increasing obesity rates, an ageing population and severe malnutrition issues, maintaining a healthy population is a huge task,” said Danone CEO, Emmanuel Faber.